The image shows a black Lamborghini Few Off Centenario racing down a road under a overcast sky. 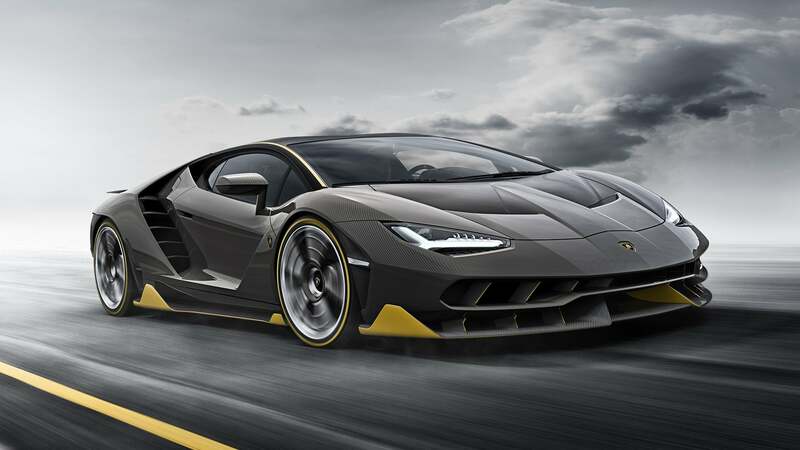 The cropped image gives a glimpse of the front of a black Lamborghini One Off Centenario parked along a road. The image shows the rear end of a black Lamborghini Few Off Centenario before a bare concrete building.